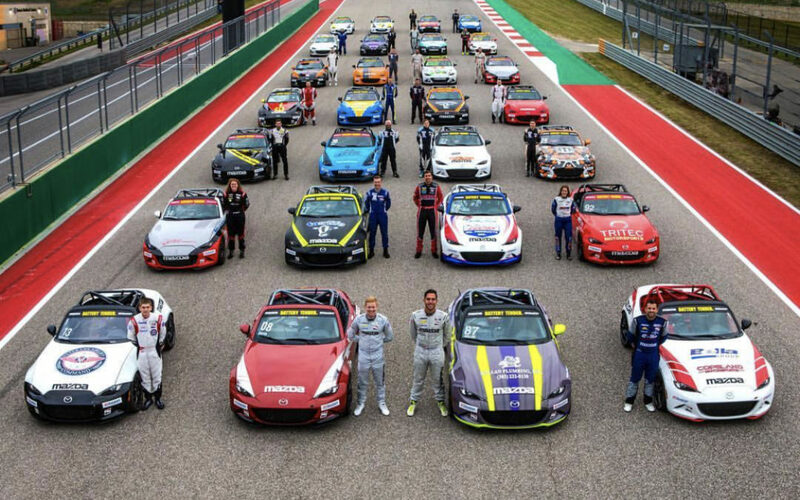 This past weekend was the series opener for the Battery Tender Global MX-5 Cup Series at Circuit of the Americas. The beginning of the season is always exciting, since we get to see both new and familiar faces. 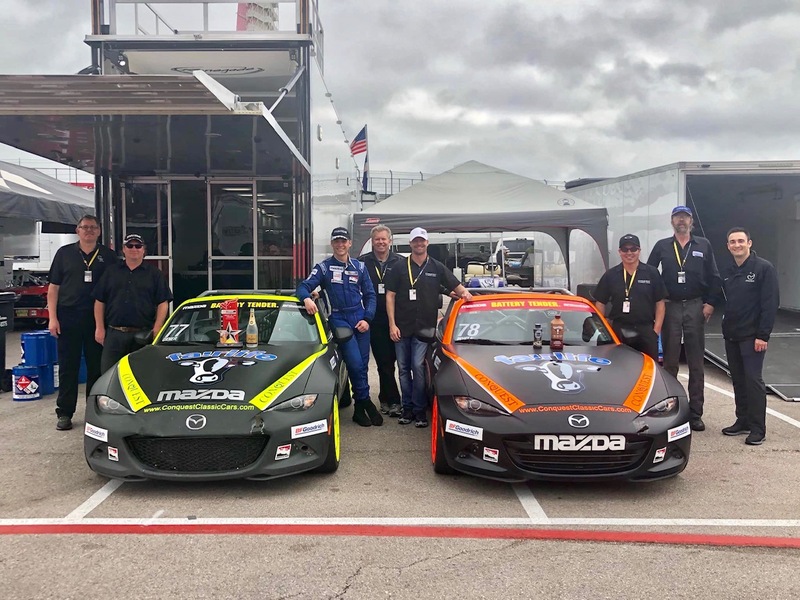 There are a lot of returning competitors this year along with 14 new rookies in the series, and of course everyone is shooting for the Mazda scholarship money. Another new thing for 2019 is the ND.2 class for the second generation of the fourth-gen car. ND.2 is the premier class within the series, while the original car runs in the ND.1 class. There was a healthy field in both classes, and each one has its own scholarship fund. Luke Oxner and Brandon White both had a great start to the MX-5 Cup season. My role during the weekend was to continue as a Race Steward in Race Control. I’m also helping coach new and current competitors in the series, specifically Conquest Racing. That team is returning for the third season, but they now have an additional car with Brandon White, who is new to the series. Brandon joins series regular Luke Oxner at Conquest, and it’s a fun dynamic getting to coach these two, who have very different goals. Luke is aiming to win the championship while Brandon is looking to obtain pro racing experience at this very competitive level. Brandon has a professional golfing background, which is a really unique perspective, but one that requires a very similar mental discipline to be successful. The racing was extremely intense—no surprise—for both races. Just half a second separated the top five finishers in race one, while the ND.1 class had a photo finish. After finishing fifth in race one, Luke was able to improve on that by grabbing a very exciting third-place podium finish in race two. Brandon had two clean races for a satisfying debut in the series. This was a terrific way to start off the season, and I know both Luke and Brandon are very excited to get to Barber Motorsports Park in just two short weeks, where the series will be supporting IndyCar again.